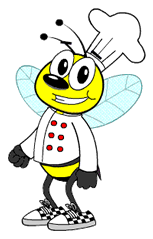 1As always have your items prepped and ready before you cook. 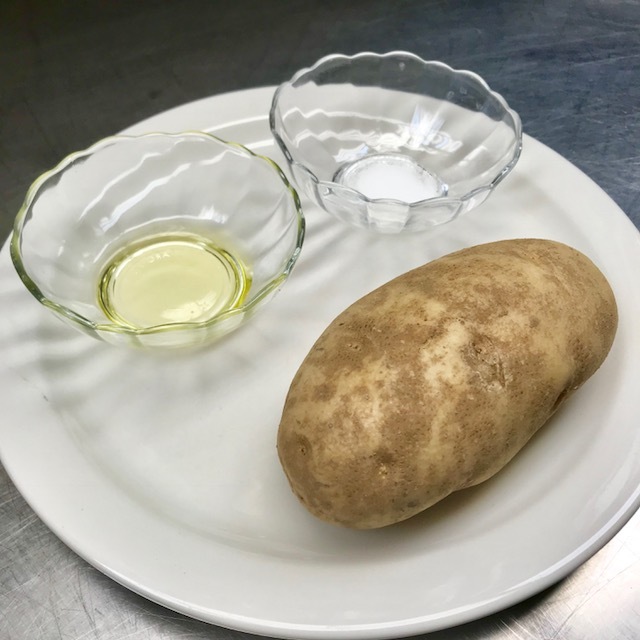 Baked potatoes contain a lot of vitamins and nutrition inside the skin, which you can eat as well. 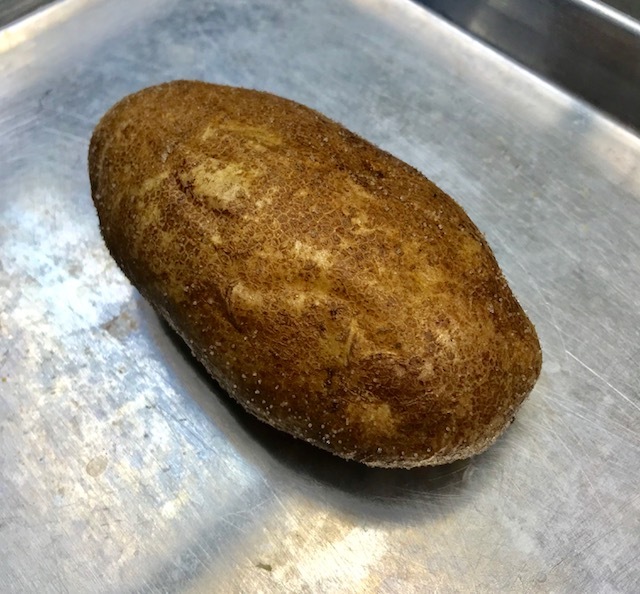 So please make sure to wash the potato thoroughly before you bake it. (TIP: use a vegetable brush). Preheat the oven to 375 degrees. 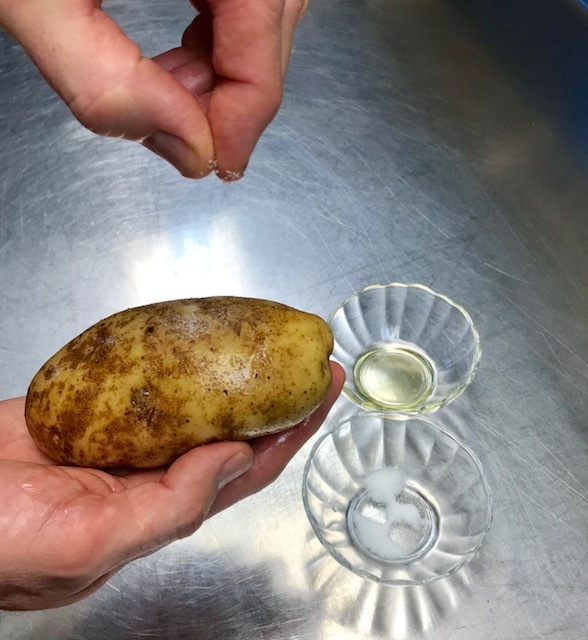 4When your potato is all coded in oil and salt place it on a small baking tray and put it in the oven. Set the timer to 45 minutes. 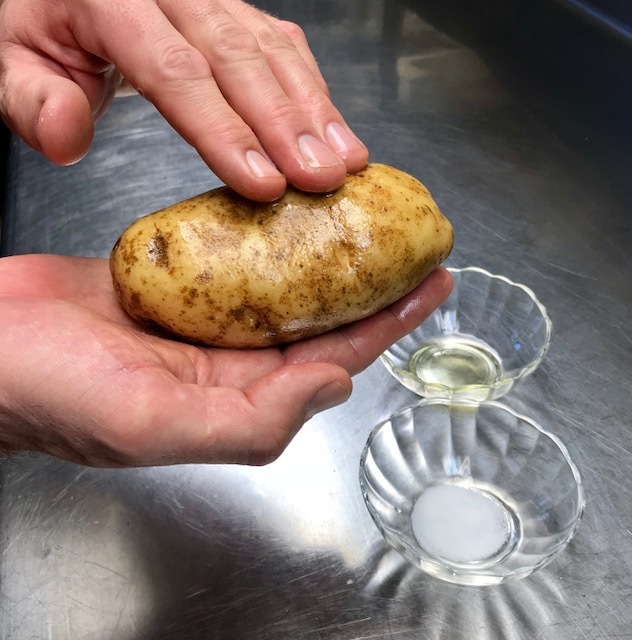 5Depending on the size of your potato the baking time can vary. The skin should be crispy and the potato should be soft inside when you poke a fork into it. If it needs some more time put it back in the oven for 10-15 minutes and check again. 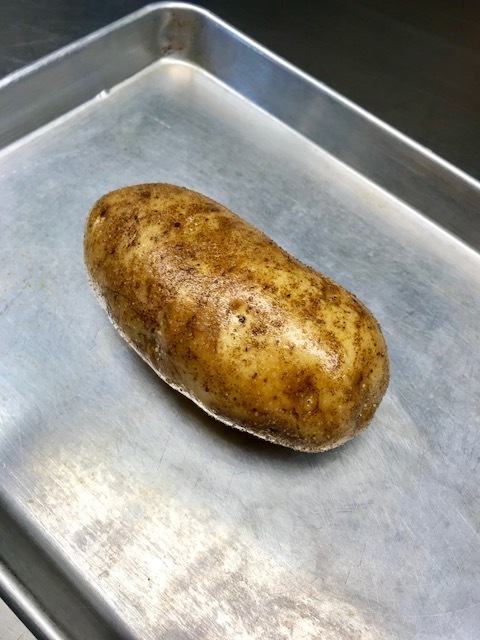 6When your potato is ready take it out of the oven and prepare it for your toppings. 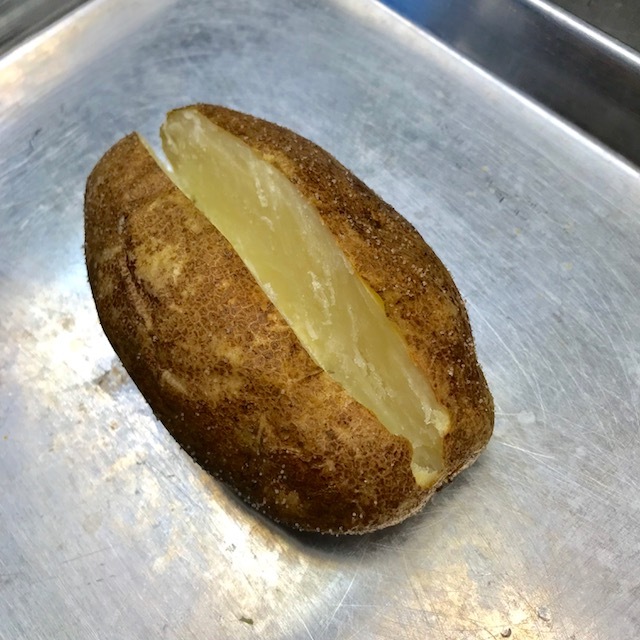 With a knife cut it the long way and open the potato. 7Put it on a plate and put your favorite toppings inside and on top of your potato. We used some low-fat sour cream and shredded cheese, bacon bits and lots of green onions. 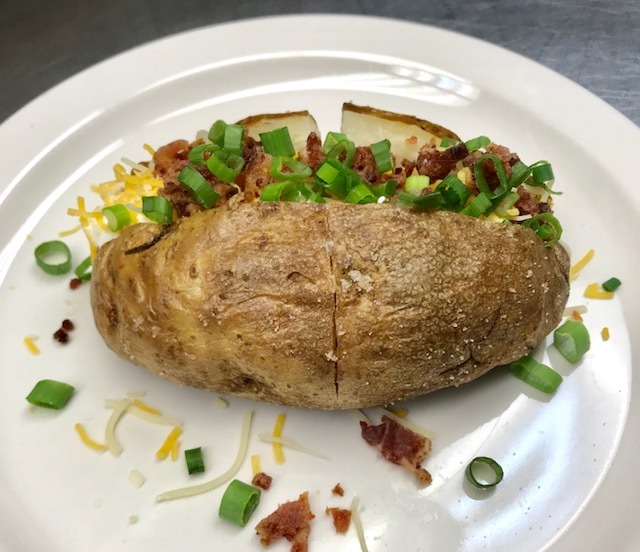 A baked potato by itself is a healthy side dish, with a good amount of vitamins, clean carbs and fiber. It's the toppings, like cheese, butter, sour cream or bacon, which add additional calories to it. Please be aware of your toppings when serving baked potatoes. Try baked sweet potatoes for a change. They are a little smaller and make a great snack before or after soccer practice. Sweet potatoes bake in about half the time than regular potatoes.